Featuring the best deals every day! These are great, I use them ALL the time!! 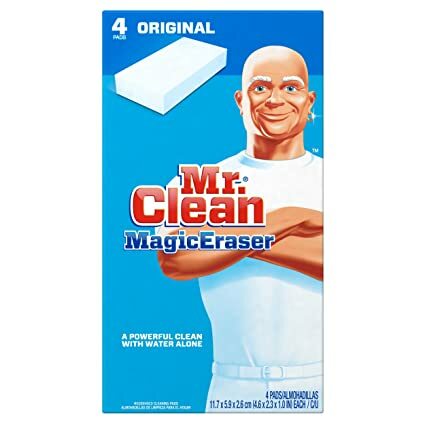 Snag Mr. Clean Magic Eraser Multi-Surface Cleaner, Original, 4 Count for $3.47 – $1 coupon on the product page = just $2.47 with FREE Prime shipping or free shipping with $35 purchase. *GREAT PRICE! * Amazon -AmazonBasics 18-Piece Dinnerware Set – Triangle Accent or Dots, Service for 6 just $25-$29 (Reg $40)! *HOT! * Amazon- Magazine Subscription Deals! Shein-Women’s Elastic Waist Cut And Sew Pleated Skirt just $14 + FREE Shipping! *HOT! * Amazon – IOOOOO 120 Pieces Gold Plastic Square Plates with Disposable Silverware, Premiun Heavyweight Clear Dinnerware Include: 24 Dinner Plates 9.5″, 24 Dessert Plates 7″, 24 Forks, 24 Knives, 24 Spoons just $23.99 after $6 Coupon! PESACH! *HOT! * The Children’s Place – 75-80% Off Clearance + FREE Shipping! *AMAZON DEAL OF THE DAY! * BIG Savings on Preschool Toys!! *HOT! * Amazon – IOOOOO 120 Pieces Gold Plastic Square Plates with Disposable Silverware, Premiun Heavyweight Clear Dinnerware Include: 24 Dinner Plates 9.5″, 24 Dessert Plates 7″, 24 Forks, 24 Knives, 24 Spoons just $24.99 after $5 Code! PESACH! This post may contain affiliate links. Thank you for supporting Bargain Boutique Deals!